How to Write an Excellent Music Review How to Write an Excellent Music Review – MillionClues! A guest post by Michael. If you wish to write one, check out the guest-posting guidelines and details. The quality of music, as with any other form of personal expression, has a certain subjectivity to it that divides people into countless different camps. Rarely will you find even two people who overlap completely in musical taste. Anyone can start a blog and start throwing their opinions around online, and there are hundreds of places to find them. It’s not a question anymore of finding a review for the new Arcade Fire album – it’s a question of which review to take into highest consideration. Establish clear criteria for your reviews. Following the same basic framework for each review can help you foster a sense of consistency within your posts and will allow readers to create comparisons. For example, if you spend one review gushing about the production quality in a crystal clear album and ignore the fact that the next album sounds like it was recorded through an elaborate system of tin cans, your reviews won’t be consistent enough to be taken seriously. Now, unless you’re excessively thorough, you won’t be able to address all possible criteria in your reviews. It’s important to focus just on the qualities in music most important to you. You might care more about the fretwork than the vocals, or you could spend hours poring over the lyrics in an album jacket. If you concentrate on a few criteria you’re passionate about, you’ll develop a clear voice that shines through in each of your reviews. Create context for your reader. Music doesn’t exist in a vacuum, and readers will come into your reviews with prior knowledge. With context, you can allow them to combine that knowledge with your own. 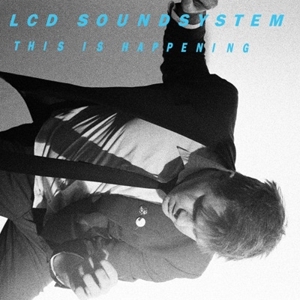 For example, say you’re writing a review for the third LCD Soundsystem album, This Is Happening. Picture two different readers opening up this review. One of them loved the first album, hated the second, and just wants to know which direction the band takes in the third. This is one form of context: including references and comparisons to the band’s previous work in your album review. The other reader hasn’t heard anything by the band – he’s a clean slate with no expectations. You can establish context in another way by referencing other music. Calling to mind bands of a similar style such as Hot Chip can generate more interest for a reader who has no experience with the band itself. Add flavor to your reviews through anecdotes and experiences. Music reviews, both amateur and professional, flood the web when new music is released. To establish yourself as a source that readers will return to, it helps to create a strong online presence. You don’t want to overpower your thoughts on the music with too much personal detail, but brief tangents will allow readers to relate to you. Describe a memory or feeling the album brings forth, a concert experience with the band, or a snippet about how your musical tastes have evolved. Your priority should always be the music, but adding depth to your review will build an audience. These three components aren’t meant to be a rigid set of guidelines, but they’ll give you a solid foundation for your music reviews. Practice these techniques to develop a consistent voice, and when that voice resonates with readers your posts will quickly stand out from the white noise. The Author, Michael Cash is a twenty something freelance writer and SEO services consultant residing in western Michigan. When he’s not coaching people out of 1990s era web practices, amateur astronomy and hiking take up his time. A completely random fact about Michael is that he used to ‘ghost hunt’ as a youngster. thanks to this post.I knew now how to address my lyrics of muic to the people cause i am a music writer.